En avril, ne te découvre pas d’un fil | One quality, the finest. Two weeks ago, it was snowing. As I’m writing this, it’s about 85 degrees Fahrenheit, or almost 30 for those more comfortable with Celsius. Tomorrow it’s supposed to be about 20 degrees colder. Spring weather certainly is crazy. There’s a saying for this in French (of course). En avril, ne te découvre pas d’un fil (ohn avreel, nuh tuh day-koo-vruh pah duhn feel), which literally means, “In April, don’t take off a thread (of clothing).” The saying is a little old-fashioned, but still good advice on the unpredictability of spring weather. 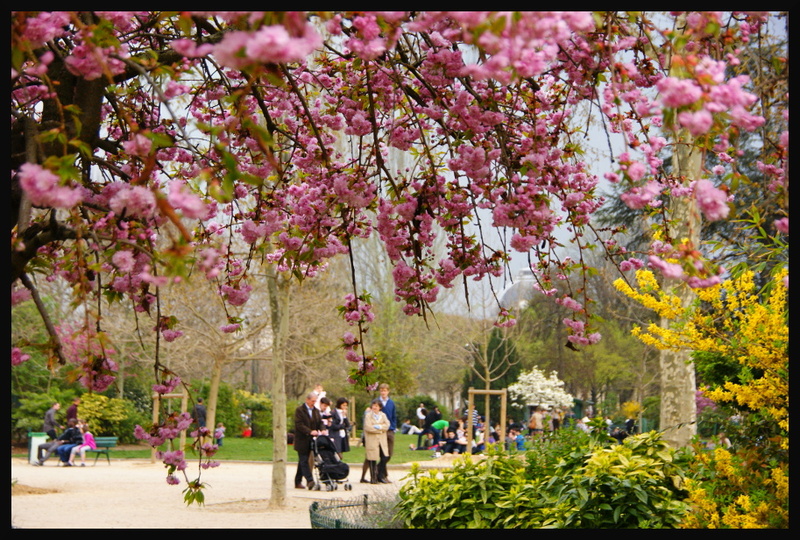 This entry was posted in Events and tagged En avril ne te découvre pas d'un fil, French idiom, Paris in the Spring with Picasso, Spring weather. Bookmark the permalink. You just made my day sunnier, no matter the forecast!